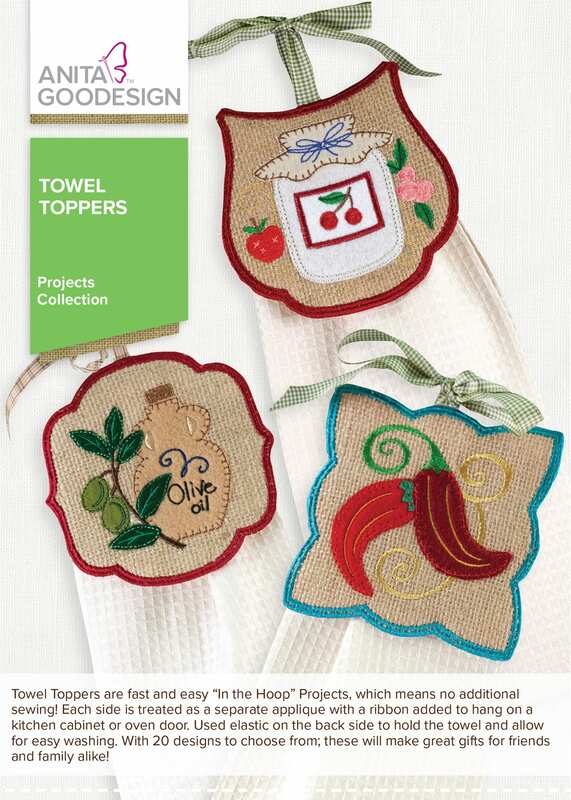 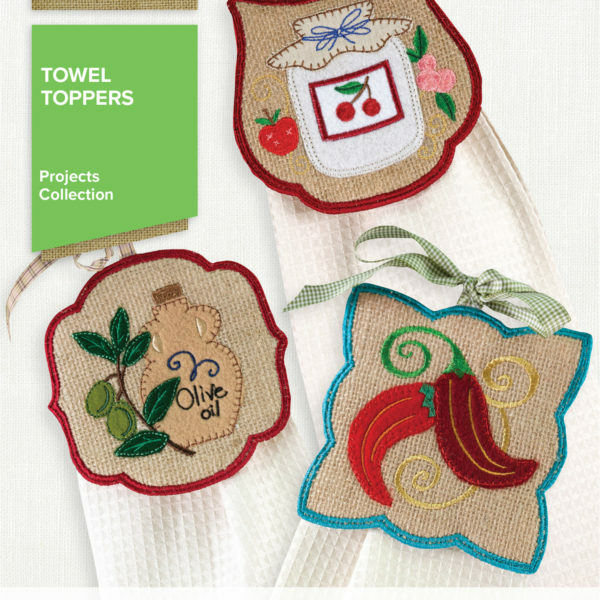 Towel Toppers are fast and easy “in the hoop” projects, which means no additional sewing! 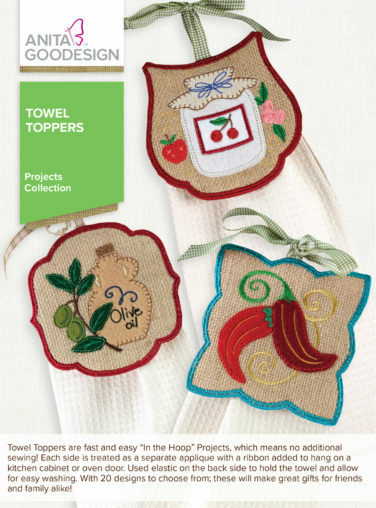 Each side is treated as a separate appliqué with a ribbon added to hang on a kitchen cabinet or oven door. 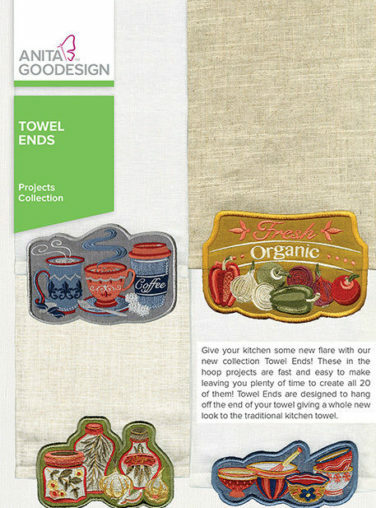 Use elastic on the back side to hold the towel and allow for easy washing. 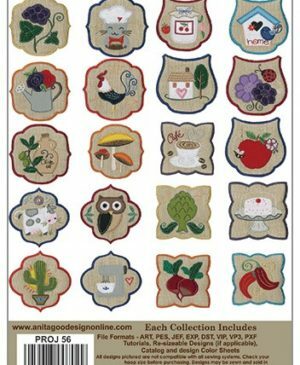 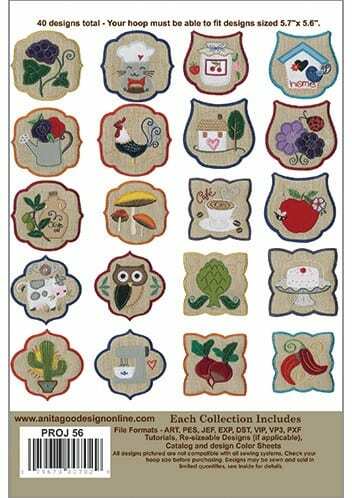 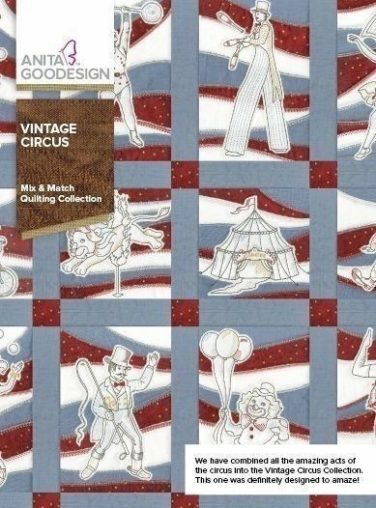 With 20 designs to choose from, these will make great gifts for friends and family alike!